I wonder if they showed Baby Dear to people looking for very hungry caterpillars? It reminded me of a similar screenshot last Christmas. 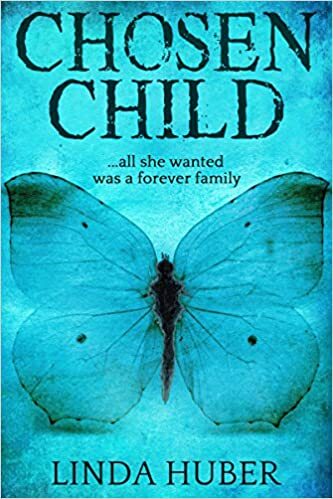 The connection was more obvious this time, but just in case anyone’s wondering, mine is definitely not a children’s book! My ‘Switzerland’ novellas are doing better than I’d anticipated, which is nice. 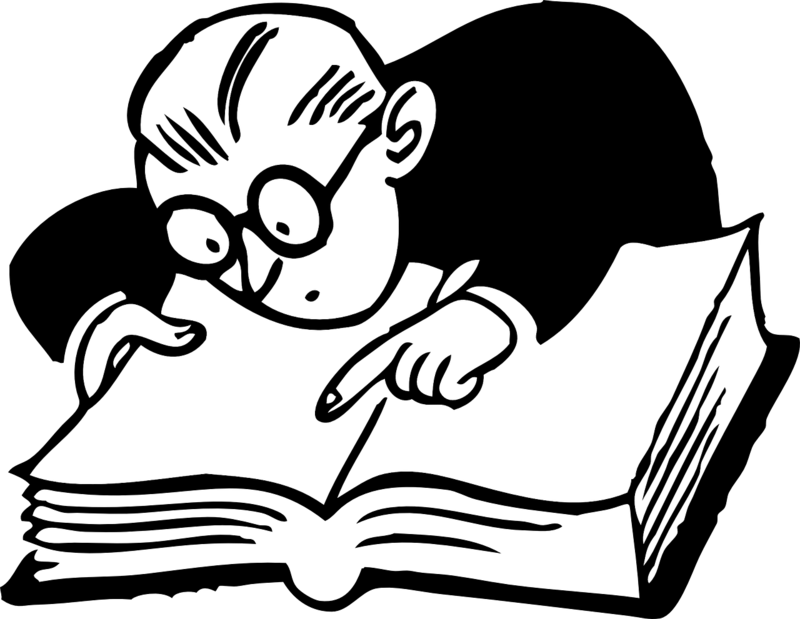 It’s not so easy finding readers when you do such a 180° genre-about-turn. For the past several months, I’ve been cracking on with the next in the series, Trouble in Switzerland. It’s being edited at the moment and should be ready later this summer. Although the novellas are a series, each story is complete in itself and they can easily be read as standalones. 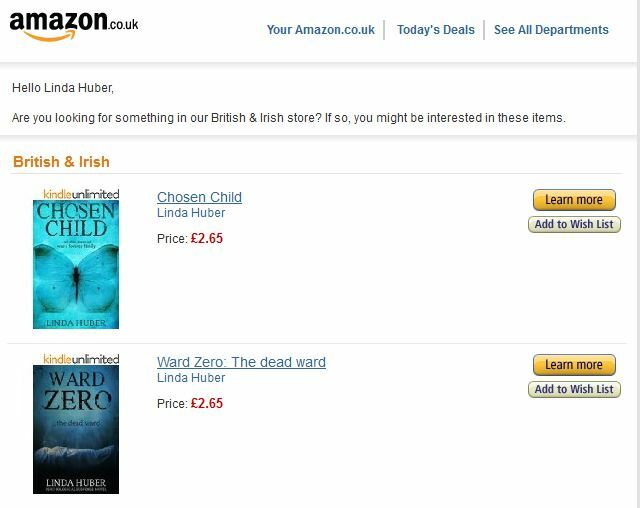 Another thing I enjoy is when Amazon recommends me my own books. I think this happens because their software (or whatever it is) notices that although I check these books regularly, I never buy one. This entry was posted in books, The Writing Life and tagged A Lake in Switzerland, A Spa in Switzerland, Amazon, Baby Dear, screenshots, Trouble in Switzerland. Bookmark the permalink. 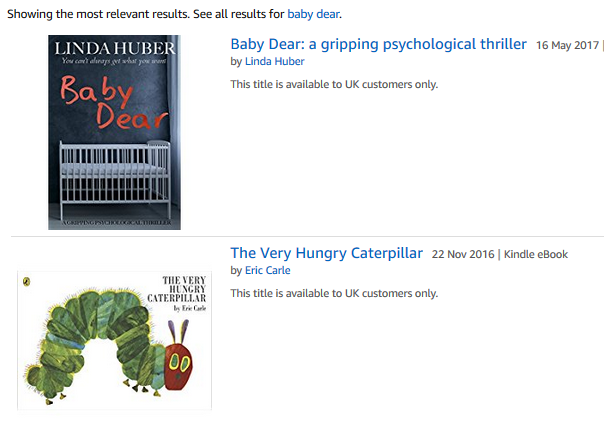 Thanks, Georgia – I think you’re right about Baby – though there must be hundreds of titles with baby in them! It might be your keywords – A Single Step ended up in the sports category once, because I’d put kick boxing in the keywords – hahaha! Nice one. I don’t know what keywords Baby Dear has – it’s one of my Bloodhound ones. I hope they don’t change anything, though – it’s fun the way it is! Wonderful, it reminds me of the time I wrote a piece about shipwrecks for a local history society website. I sent the link to a school as I thought the information would be useful for project work they were doing, only to be told that the page was blocked due to ‘inappropriate content’! It took me some time before I discovered that the inappropriate material was contained in a transcript from a Victorian parish magazine that had been attached to my page. It takes some work to find inappropriate material in a Victorian church magazine, but they did it. Your screen shots made me smile 🙂 Congratulations on the success of your novellas (well-deserved!) and the translations! Thanks, Helen – they’ll never make me a millionaire, but at least they didn’t sink immediately into oblivion! Lovely to see someone forging ahead! Not so sure about forging – but it’s fun, isn’t it? We have to hang on to the humourous moments, and the good bits! Ha ha, that’s really funny – I usually go to my books via the links on Twitter (I check the new trilogy a couple of times a day, the others only if they’re free or on Kindle Countdown), but if I type in Terry Tyler I get a few of my books then some hot romance stuff, with semi-naked couples on the front!!!! Congratulations with the translations, Linda. That’s funny about the caterpillar. 🙂 The God Amazon moves in mysterious ways sometimes. I’m kicking myself that I didn’t take screenshots of my number one flags. Thanks, Heather! You’ll have number ones again, don’t worry. Keep a watch out on your next promotion! 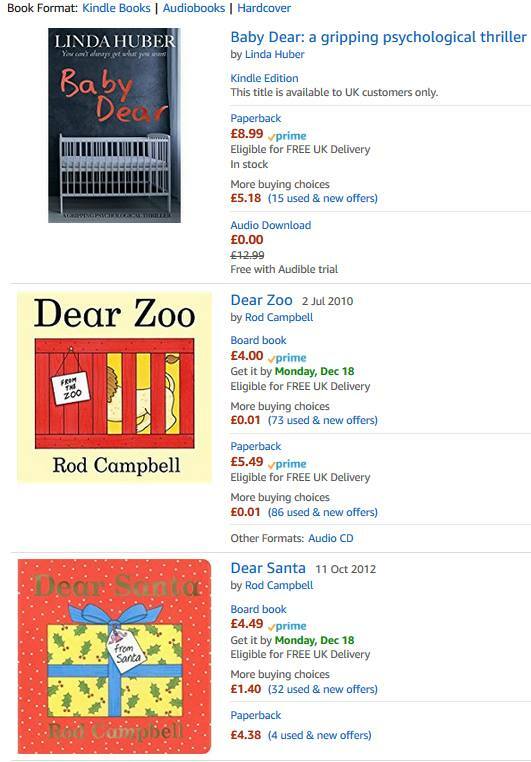 Amazon’s mind is rather worrying at times!